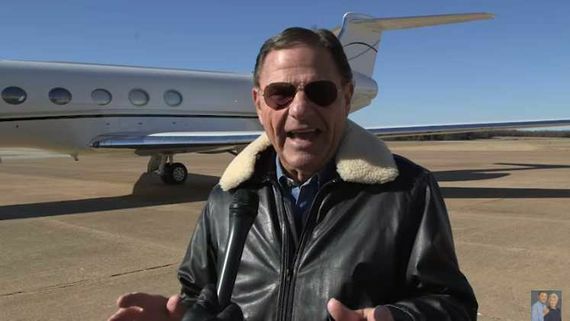 Prosperity preacher, Kenneth Copeland, is just gushing over his latest acquisition, a $36 million Gulfstream V private jet. The jet was fully funded by contributions to Copeland's enterprise, Eagle Mountain International Church dba Kenneth Copeland Ministries in Newark, TX. Copeland claims that he simply cannot fly commercial because of the threat from “demon” passengers. Copeland is raising another $17 million for new avionics and construction of a hangar. The hourly operating cost of the jet is about $4,700. All the money to buy and fly the damned thing comes from tax deducted contributions which means that we are all subsidizing Copeland's largess. Donors made a choice to be stupid and gullible. The rest of us are involuntary providers. According to a spokesperson “The Holy Spirit confirmed to Brother Copeland that the Gulfstream V was the plane the Lord had set aside for KCM.” Copeland claimed that a prophecy had been fulfilled. Copeland spouts gibberish about the more one gives to him, the greater the financial reward from God to the donor. I find it hard to believe that people actually believe this. The good news is freedom from homosexuality, and every other manifestation of the fallen human nature, was paid for by the blood of Jesus! 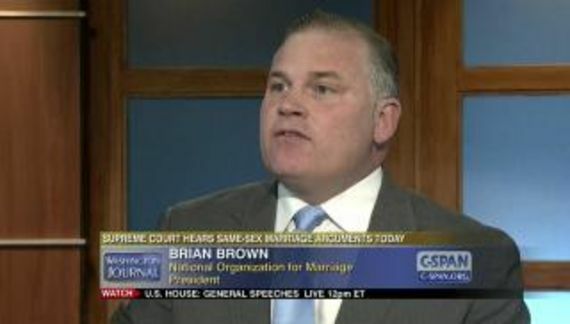 The path to freedom for the homosexual is the same path of freedom that is offered to everyone on earth, which is to accept Jesus as Lord and Savior (Romans 10:9-10) and thereby receive a brand-new nature on the inside (2 Corinthians 5:17). Once a person is born again he or she can freely receive God’s grace (supernatural empowerment) to overcome the sinful desires of the flesh and live in total victory (Hebrews 4:15-16). Making matters worse, Copeland operates in complete secrecy. He is not required to file an annual report with the IRS and Congress has made auditing these religious organizations very difficult. We are certainly paying for a palatial “parsonage,” luxury cars, personal assistants of every variety, country club memberships and so on. I am a Partner with KCM. On August 7, 2016, I specifically sowed a seed into this ministry for cancellation of a debt. Today I received great news that the the debt has been completely cancelled: over $32,000!! Hallelujah! I praise God for this ministry and the wonderful teaching, especially on sowing! I'm a sower and I live by my seed!! One of these days a federal consumer watchdog will require proof of idiotic statements like that. The gullible believe that God intervened and a bank or other lender cancelled a valid $32,000 debt. These are people who are virtually compelled to fork over 10% of what they earn. It is an obvious scam that is free from oversight. It is a scam in which we are all forced to be complicit. It is a scam that we all must subsidize.